Residents are Thrilled to call New Brunswick Apartments their HOME! New Brunswick Apartments offers 1,2 bedrooms & 3, 4 bedroom townhomes affordable family living with schools, libraries, arts, culture and recreation close by. We are within a short distance of downtown New Brunswick where you will find the Crossroads Theater, numerous restaurants and hotels. We are also close to Davidson Park, a family friendly park that hosts several outdoor events throughout the year. New Brunswick Apartments is ideal for the commuter as well. We are located within close distance of the NJ Transit rail line, and less than 5 minute drive from Route 1 and NJ Turnpike, all which can connect you easily to New York City. New Brunswick Apartments offer variety of amenities, including laundry facilities, 24 hour emergency maintenance service, heat/hot water included in rent and kitchen equipped with energy efficient appliances. Clearly The Best Apartment Home and The Best Value For Your Money! Located in New Brunswick, New Jersey, New Brunswick is an apartment community offering one and two-bedroom apartment homes and three and four bedroom townhomes for rent. Professionally managed by Housing Management Resources, Inc., New Brunswick offers residents a variety of amenities, including a basketball court and a fun filled playground, community laundry facilities, 24 hours emergency maintenance staff, and kitchens equipped with energy efficient appliances. 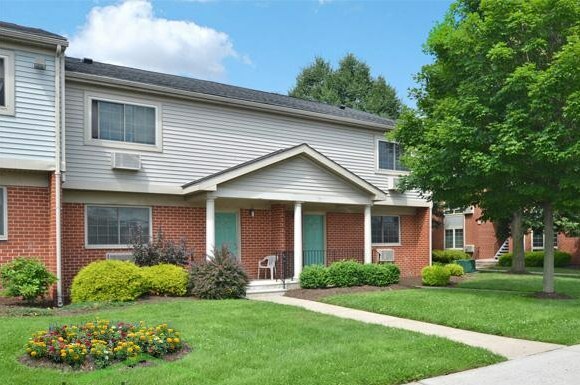 Our apartments in New Brunswick are conveniently located near public transportation and popular commuter routes like Route 1 and the New Jersey Turnpike. This means that fantastic places like New York City and downtown New Brunswick are never far away. You will find a vast array of options for shopping, dining, and entertainment venues nearby, such as the Crossroads Theater and Rutgers University's Jane Vorhees Art Museum. Contact our on site staff and schedule a tour of your new home at New Brunswick today! Some bunny 🐰 told me that there are going to be AMAZING prizes 🎁 to win during today's Easter Egg 🥚 Hunt! Get ready for this epic adventure starting at 4:00 pm.